Brewery Fonts - In Mold Decoration. As a passionate family business based in Northampton we have always been keen to capture emerging technological opportunities and to pass these innovative benefits onto font manufacturers and brand managers. 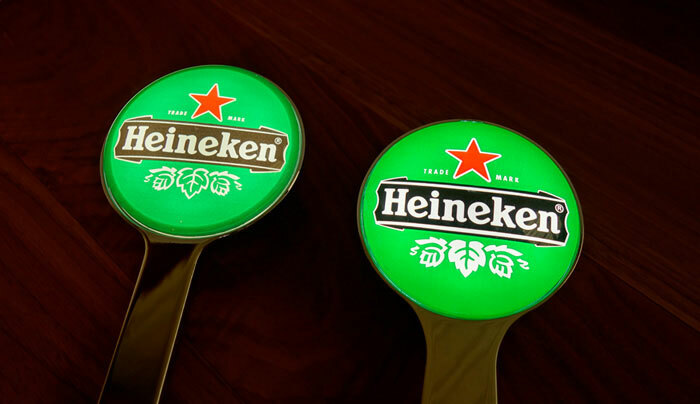 Heineken's latest font with Near Field Communication and led lighting on tap pour is a case in point. Its an excellent example of strong brand awareness as well as a 360 degree illuminated print that is eye catching to say the least. This font design has helped boost liquid sales by up to 35% across the install base. 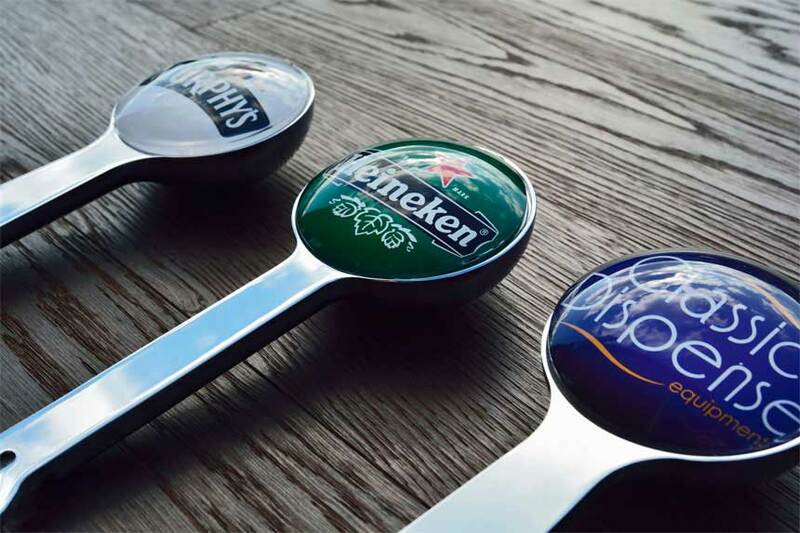 The Near field communication device built into the heineken font graphics with enabled mobile devices means they are able to promote the brand with special offers competitions, asset management as well as promote product authentication for brand managers. 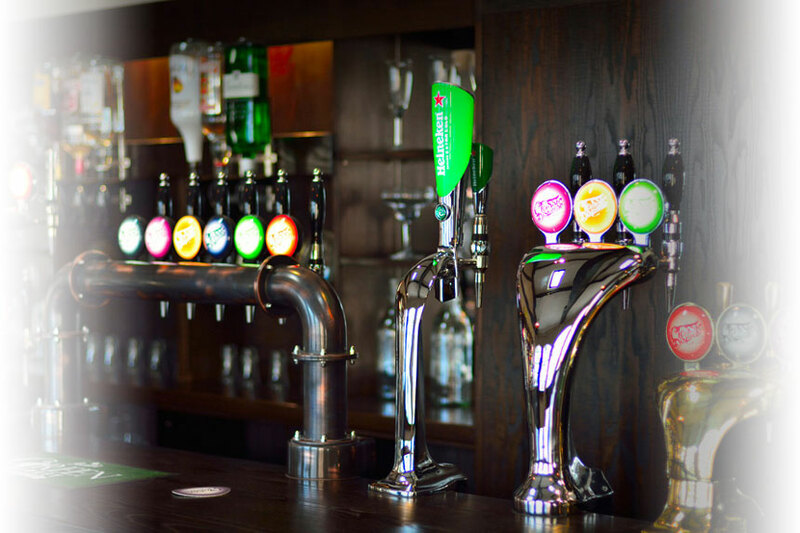 Beer dispense fonts are a big part of the font market. At Boyall Graphics we have been developing the next generation of led light fonts, why? Current frog eye fonts have distinct weaknesses. The most obvious is light leakage around the edge and dark shadowing that is noticeable around the edge of the lens from the adhesive gasket used. With cleverly positioned led lighting and an anti-shadow shield (design protected) that envelopes the inside to achieve a beverage font with consistent illumination right to the edge of the font without any shadowing or hot spot reflections. The above listed points combine for a great finish, image below is non edited or manipulated. At Boyall Graphics we have listened to our clients and worked closely with field engineers refining the materials and designs to understand the entire journey of a font, maximising your brand, increasing your sales, whilst also greatly reducing the 'hidden on-costs' of on site maintenance and repairs. We believe working with feed back from install engineers at the front end is key to understanding the entire journey of a font.